The Cavan quartet chat to Barry Egan about going from touring Ireland in a dodgy van to performing on Letterman and Later... with Jools Holland. They also blow the roof off Windmill Lane Studios with their take on Nick Lowe's So It Goes. The Daily Telegraph’s Neil McCormick declared in September 2013: “I have seen the future of rock and roll and it is too young to drink. Four teenagers sit side by side in a local bar in the Irish midlands town of Cavan, each with a pint glass of water in front of them,” McCormick noted in reference to lead guitarist Josh McLorey (then 17 years-of-age), bassist Pete O’Hanlon (17), drummer Evan Walsh (16) and singer Ross Farrelly (15). When Cavan’s Fab 4 played the Late Show with David Letterman last year, the 66-year-old host of US TV’s biggest show looked like he was going to have a heart attack on the spot with excitement when they finished their performance of What A Shame. Laser-tag with Letterman notwithstanding, The Strypes are taking the world, bit by bit, by sonic storm with their Dr Feelgood-meets-Arctic Monkeys mutant magnificence. 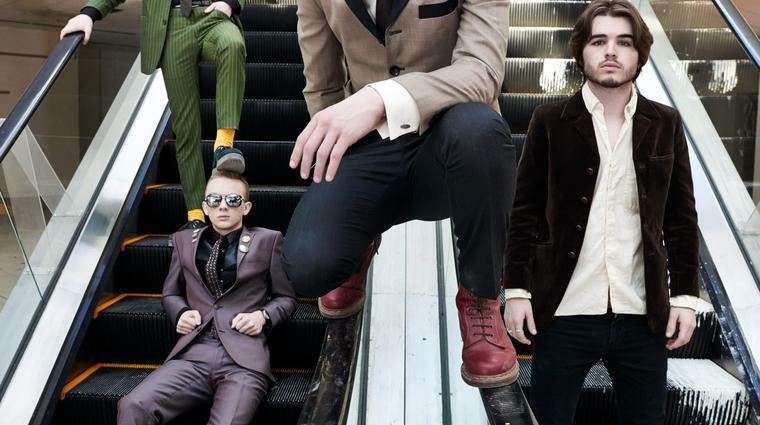 The Strypes’ love of almost bowel-shaking rhythm ’n’ blues comes, they say, from their teens in Cavan when they became obsessed with it and tried to pursue it as a genre for the band. 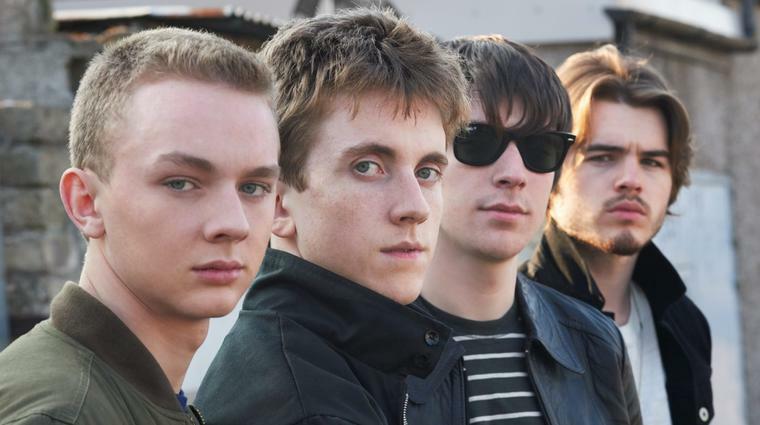 One of the great things about The Strypes is that they don’t let their influences overwhelm them: there is an authenticity to their music that over-rides any potential for the derivative. “I think if you play with conviction, that will always come through,” says Pete. This was inarguably the case when they blasted Nick Lowe’s 1976 debut single on Stiff Records So It Goes into an other galaxy on the Windmill Lane Sessions on Independent.ie. It was a phenomenal performance. This is neither hack hyperbole nor anything to do with The Strypes’ tender age: there are plenty of young bands who are dreadful. 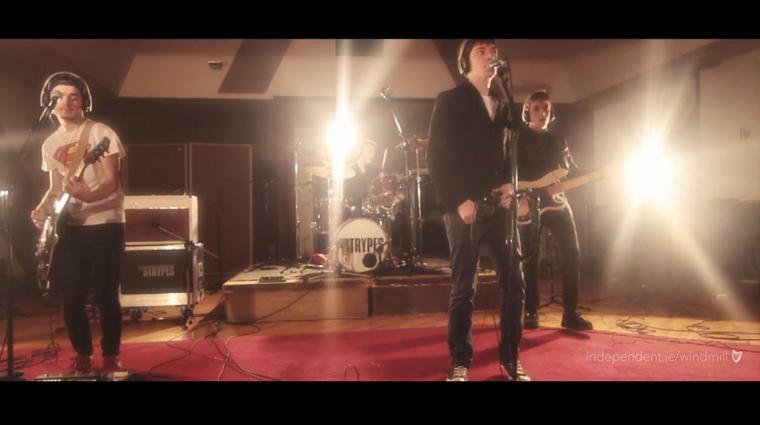 When they played Blue Collar Jane, their debut single on Mercury Records, on the BBC’s Later... with Jools Holland in April, 2013, The Guardian wrote — admittedly with their tongue firmly in their cheek — that The Strypes had saved rock ’n’ roll. The point being that here were four guys from Cavan playing their instruments with the power-pop-energy of The Who when they first emerged in 1965 with My Generation; there was a realness to The Strypes that ran contrary to the depressing vogue for manufactured bands who couldn’t play their instruments to save their (or their accountants’) lives. “I think that ‘they’re saving rock ’n’ roll’ thing is bandied about for a lot of bands who come out with a bit of a splash to be begin with,” says Pete, “and then you don’t hear from them again. I’m not saying we will or won’t save rock ’n’ roll but!” laughs Pete. Their beginnings as a band sound like an episode of Only Fools & Horses as they travelled around the country in Josh’s dad’s battered old van. “It felt like coming home,” laughs Ross who writes the majority of the lyrics in the band. “I mainly write. I’ve written most of the tunes. I write mainly on an acoustic but various ways too. With this new record,” he says of Little Victories, a souped-up successor to 2013’s Snapshot, “I’ve been heavily influenced by hip-hop and a lot of the rhythms in hip-hop. “It’s tiny. We took the bed out,” says Evan. “A full PA and all the instruments going full blast,” says Josh. I ask are there neighbours or are they out in a field somewhere in the middle of nowhere in Cavan. “It’s in a housing estate,” says Pete. “The neighbours are fine with it,” says Ross.